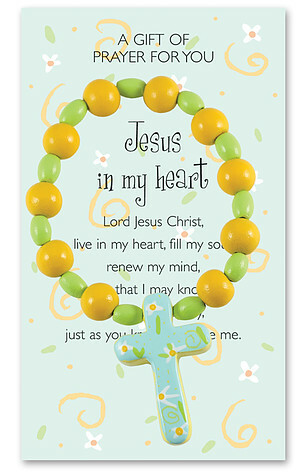 Attached to Jesus in my heart Prayer card. Children's Wooden Jesus In My Heart Bracelet was published by Kevin Mayhew in March 2018 and is our 10802nd best seller. The ISBN for Children's Wooden Jesus In My Heart Bracelet is 5000336. Be the first to review Children's Wooden Jesus In My Heart Bracelet! Got a question? No problem! Just click here to ask us about Children's Wooden Jesus In My Heart Bracelet.